ehua Island, Hawai’i is home to one of the largest and most diverse seabird breeding colonies in the main Hawaiian Islands. 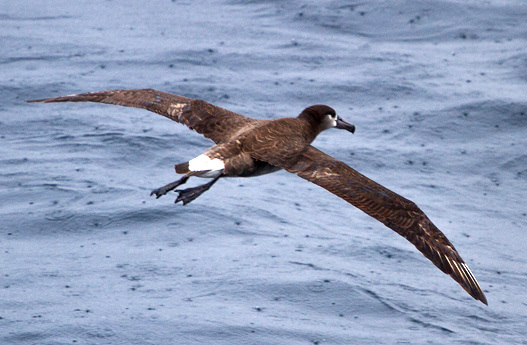 However, attempts by the ESA Threatened (IUCN Endangered) Newell’s Shearwater to establish a breeding colony on Lehua have failed since the introduction of non-native, damaging (invasive) predators. 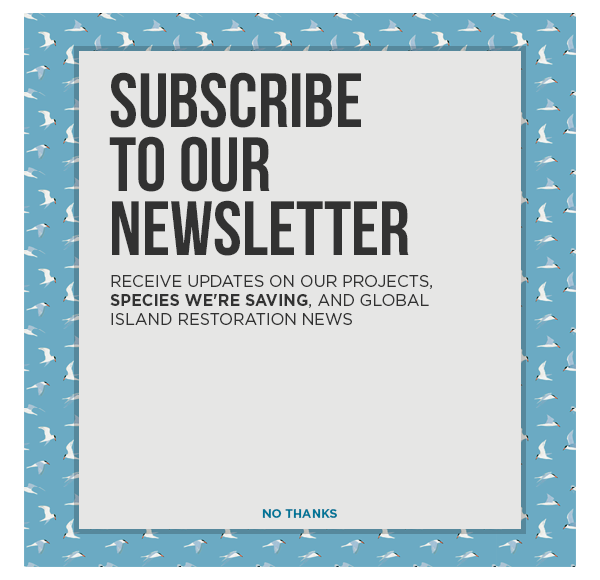 Following the removal of invasive rats, Lehua Island can become a key breeding site and the largest invasive mammal-free habitat for this highly imperiled seabird. The island’s plant community experienced a reprieve when invasive rabbits were removed from Lehua in 2006 by a partnership including the Hawai‘i Department of Land and Natural Resources (DLNR), US Fish and Wildlife Service, National Tropical Botanical Gardens, and Island Conservation; however, rats continue to threaten the island’s plants through herbivory and seed predation. High offshore islands like Lehua are critically important to the long-term conservation of threatened species in Hawai‘i as they are less likely to be affected by increases in sea level associated with climate change. 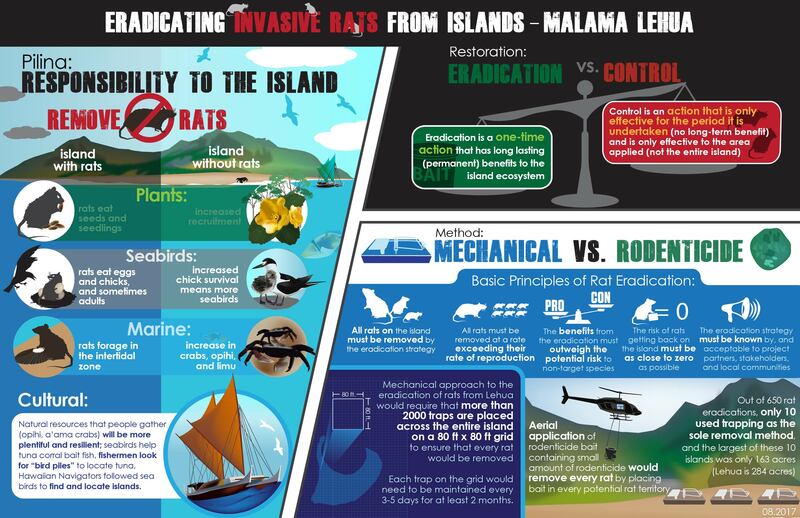 Facilitate the restoration of Lehua Island by working with partners to remove invasive rats and enable the recovery of threatened and endangered species. 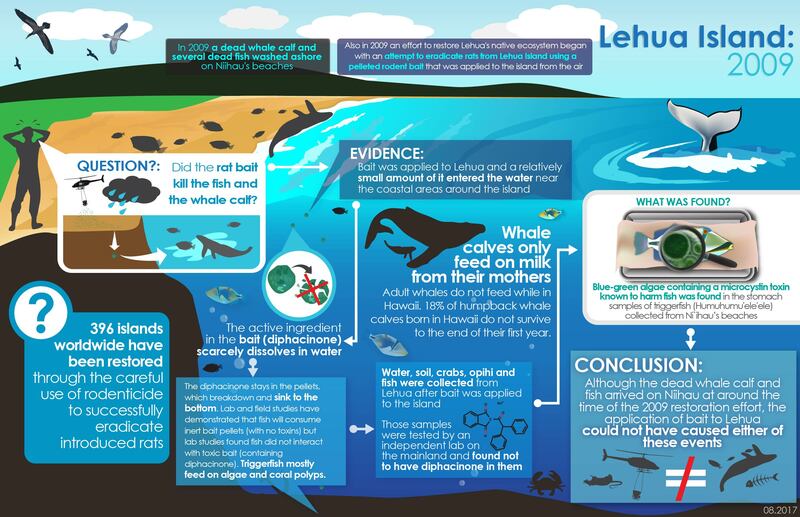 Lehua Island is one day a predator-free, fully protected refuge for threatened and endangered Hawaiian species, including many facing extinction from sea level rise related to climate change.  Invasive rats are having an ecosystem-wide impact on Lehua Island by consuming native plant seeds and preying on seabird chicks, eggs, and adults. Removal of invasive species will provide safe breeding habitat for Hawaiian seabird species, allow for the regeneration of native plants, and create a potential translocation site for species threatened by sea level rise. Island Conservation is working with the Hawai`i Department of Land and Natural Resources, U.S. 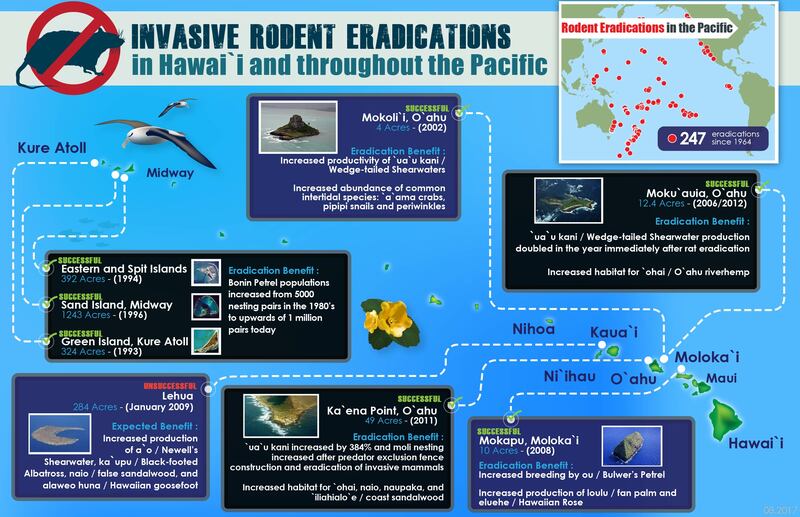 Fish and Wildlife Service, U.S. Department of Agriculture, U.S. Coast Guard, the Kaua‘i Endangered Seabird Recovery Project, the National Tropical Botanical Garden, and Pacific Rim Conservation to explore options to restore Lehua Island by removing the invasive rats. NEWELL’S SHEARWATER ESA Threatened (IUCN Endangered) Newell’s Shearwater breeding colonies are restricted to the mountainous regions of the main Hawaiian Islands. However, birds attempting to breed at these sites often fall prey to invasive predators, collide with powerlines, or are disoriented by bright lights. Once free of invasive predators, Lehua Island will provide ideal breeding habitat for this threatened seabird. Remains of a Newell’s Shearwater chick have been found on Lehua Island, demonstrating that this species is attempting to nest there, and with predator removal, will have improved chances of successful reproduction. 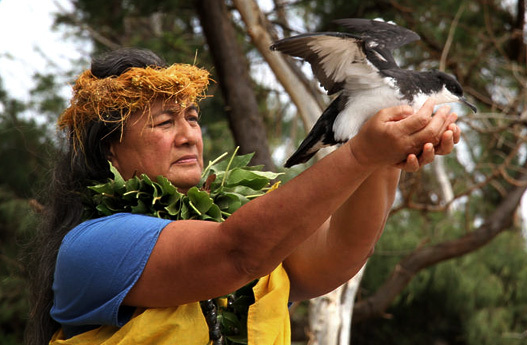 This image shows Kupuna Sabra Kauka releasing a rehabilitated Newell’s Shearwater, and offering a blessing of safe passage as this rare seabird begins it’s very first flight to sea. CULTURALLY SIGNIFICANT Hawaiian cultural sites on Lehua date back as long as 700 years ago. 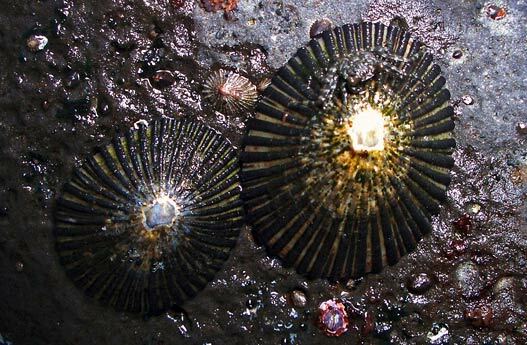 Today, native Hawaiian residents of Ni‘ihau and Kaua‘i occasionally visit Lehua to fish and collect ‘opihi (marine limpets, pictured) and limu (seaweed or algae), and eco-tourists visit the waters surrounding the island to view the wildlife above and below the waves. PROTECTING NATIVE PLANTS Following removal of invasive rabbits in 2006, National Tropical Botanical Garden began to restore the island’s native plant species. 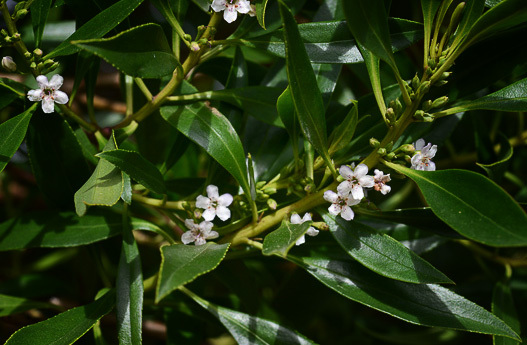 While many Hawaiian plant species (such as naio, pictured, and aweoweo) have been re-established in the absence of rabbits, invasive rats continue to thwart further restoration efforts by consuming precious seeds and seedlings. Following removal of invasive rabbits in 2006, National Tropical Botanical Garden began to restore the island’s native plant species. BLACK-FOOTED ALBATROSS With 95% of the world’s Black-footed Albatross breeding in the low-lying atolls of the Northwest Hawaiian Islands, the population of Black-footed Albatross on Lehua is extremely important. Lehua Island is home to the only documented population found in the US Lehua is also one of the few “high islands” where Black-footed Albatross nest; this island could help protect this population from sea-level rise resulting from climate change.